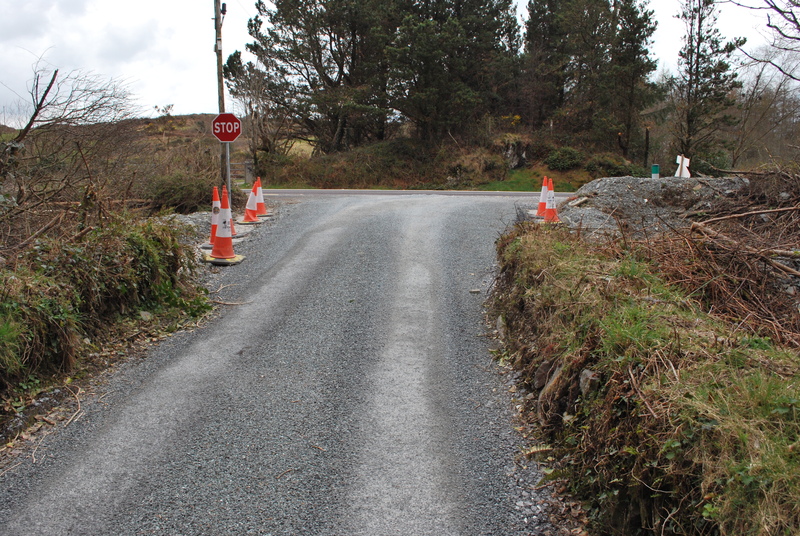 On 23 March 2011, I posted some photos of a deep rock cutting and a road overbridge in the townland of Keilnascarta, near Bantry, constructed in 1881 to carry the Cork & Bandon railway from Drimoleague to Bantry. 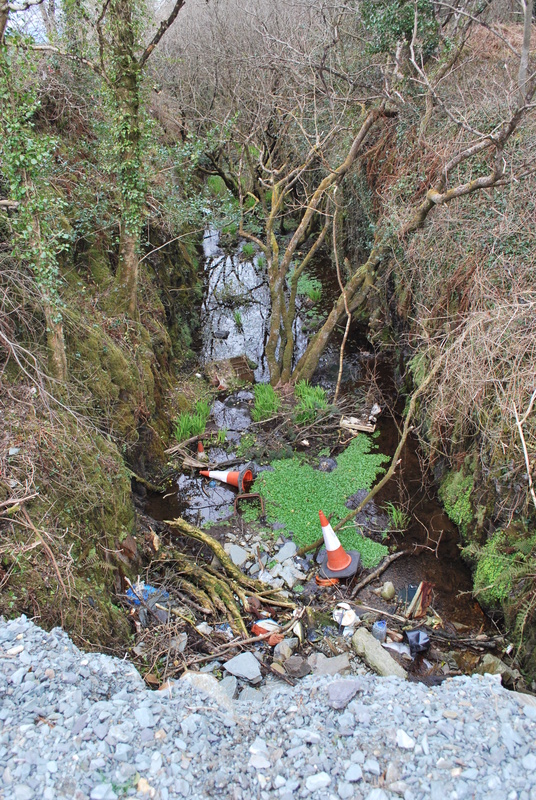 The cuttings on both sides of the bridge were then heavily polluted with domestic and construction rubbish, tossed over the parapet for many years. 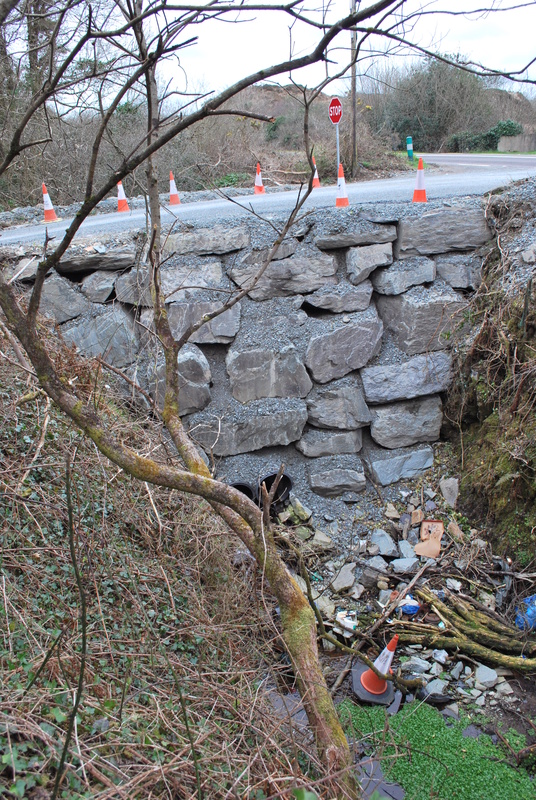 Sadly, the bridge is now gone, demolished in late 2013 by Cork County Council as part of work to widen the road and remove the illegal rubbish. 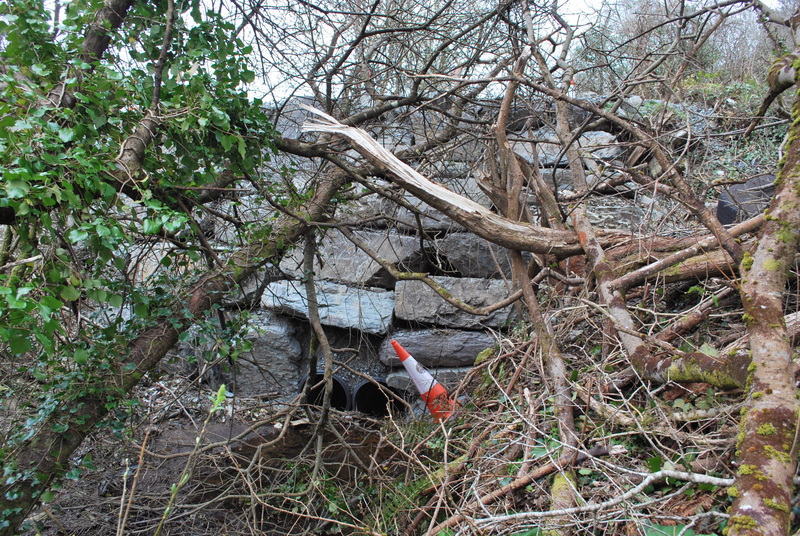 One advantage of the work, however, is that the cutting south of the former bridge is now very visible from road-level. Here is the map link.